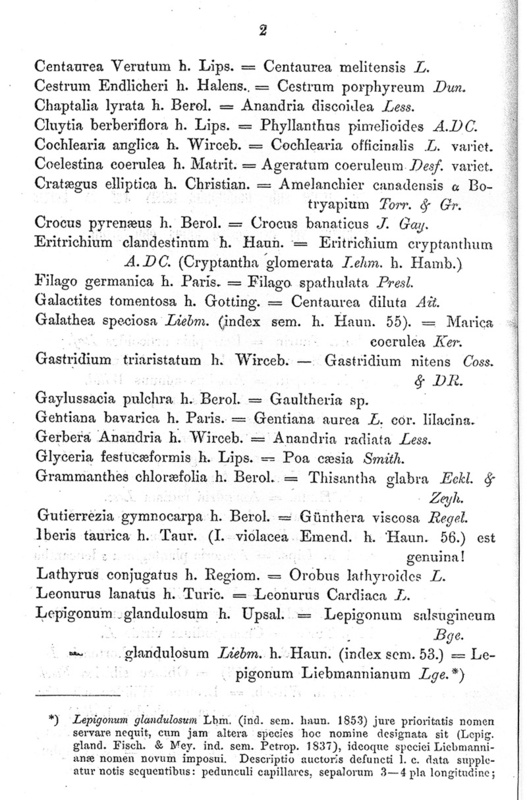 Both, Index and Appendix are dated 7th January 1859 although the Index covers the year 1858 despite the originally wrong year on the first titlepage. See also: B.Hansen a.o. in: Biol.Skr.K.Danske Vid.Selsk. 47, 1997: 23-24. 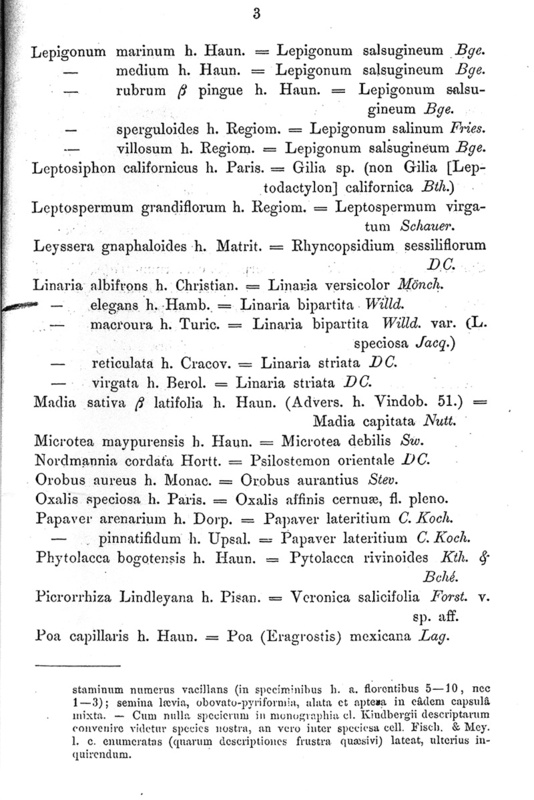 Later published in: Linnaea 29 (post Apr 1859) 737. 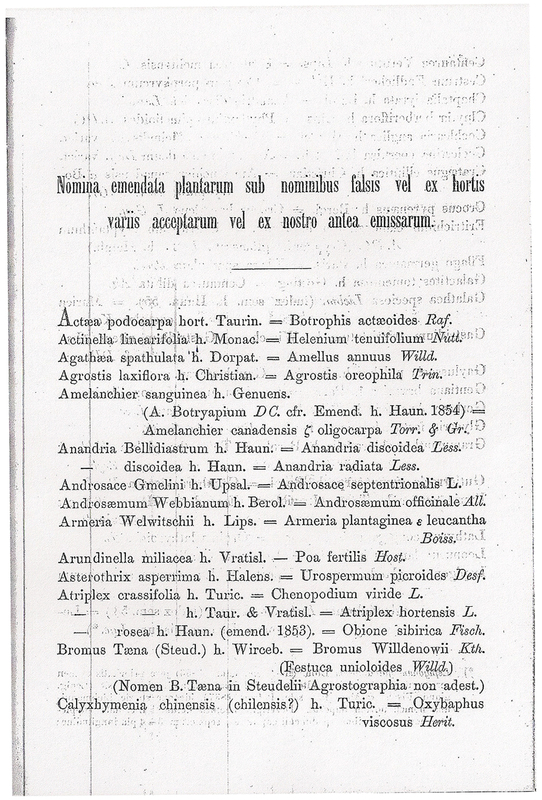 Index seminum in horto academico Hauniensi a.1858 collectorum.